This is part 4 of a 9-part series on Stacey Nemours fantastic online flexibility course package for dancers. Stacey’s Dance! Flexibility Makeover Power Pack contains several courses. Recorded one-on-one coaching session at Stacey’s home. I like that this course focuses on very basic releases for lower as well as upper body, but also includes much deeper work on the feet, legs, upper back and hips. It also features slightly different variations for some of the exercises I found in the other videos of the Dance! pack, so it helps me to finetune and personalise my flexibility practise, even while I’m working with the videos. 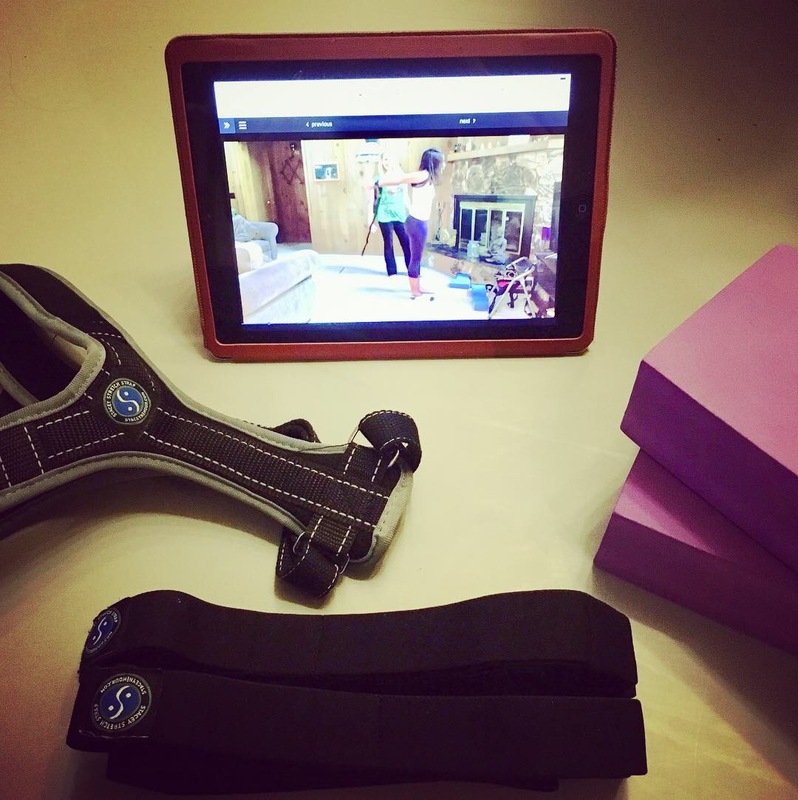 It’s great fun to see (and hear) Stacey teaching this session ‘live’ in her own home, and I love Bella’s positive and open attitude, even as she is trying new-to-her exercises and movement tweaks. It gives this video a very warm and familiar feel. I noticed that the deep hip stretches were very ‘healing’ to me in a way – the effect was.. more of an absence than an addition this time. An absence of soreness, more specifically. I was able to work with this video just 3 times (and for one of these sessions I only had time for doing the first 30 minutes), yet during (and after!) this week/weekend I am still absolutely soreness-free. Amazing. And a bit unexpected! What I did see coming though, is that my cambrès as well as arabesques for ballet felt more ‘deep’ in ballet yesterday – and I could notice where I had imbalances in core strength, probably because of the deeper work with the legs, hips and upper body. I will report back in a few days if there are any additions! The ‘trick with the straps’ shown below, for opening the upper body. Pure Genius. And next to that, the deeper variations of the seated hip stretch (one of which was also featured in last week’s flexibility post) felt absolutely amazing. 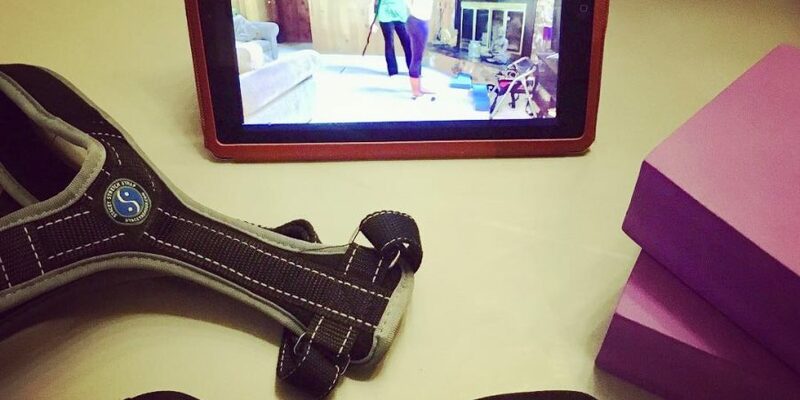 PS: You can see Bella wearing Stacey’s Posture Support Strap in this video! If you have any questions about the Cheerleaders complete Flexibility System course, or about the Dance! Flexibility Makeover pack in general, feel free to contact me via the comments below. If you have this course, too: Let me know your experiences!